Pashchimi is a non-profit organization (a 501 (3) (C) public charity incorporation) based in the San Francisco Bay Area. Founded in 2004 and run by a dedicated group of business executives and professionals living and working in the Bay Area, Pashchimi seeks to support the ethnic diversity and culture in the US as well as provide economic support for the charitable institutes that work for the uplift of meritorious students from low-income families in India. 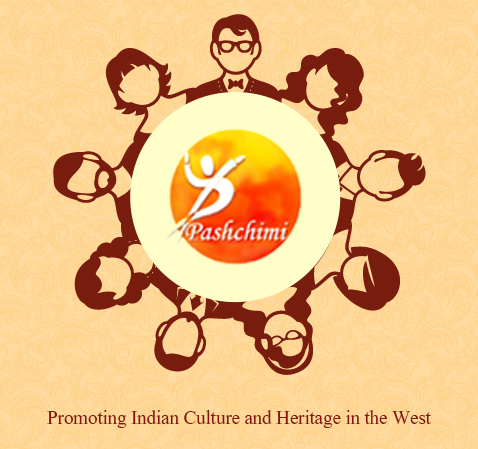 On Socio-cultural front, to promote Indian culture and heritage in US as well as to support charitable institutions working for the Indian community, Pashchimi has been organizing large community events since its incorporation. Pashchimi plans to work more directly in India thru its members to utilize these funds in future. Since 2004, Pashchimi has raised more than $70,000 in support of this cause. Pashchimi is working with India-based NGOs to provide financial support for meritorious children from poor families and show them the path to success. Pashchimi does not merely provide money, sponsors for these programs also have the ownership of constantly interactingwith the child they support and guide them thru the developmental process. In 2010, Pashchimi plans to support at least 8 such children thru their 10th and 12th classes. We believe in every individual for who they are and what they can do, rather than one's background, gender, socio-ethnic origin, religion, economic condition or political affiliation. We do not promote or express any political view. We do not have any religious or cultural bias. We encourage and encompass all cultures, religions and ethnic communities. We honor honest intent, respect integrity and trustworthiness; value open and transparent communication and support a just cause, even if that is against our own interests. 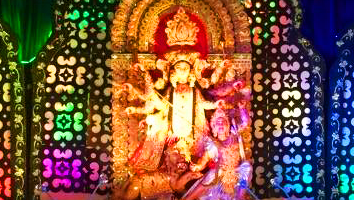 While multiple events are organized on the same theme, this Pashchimi event is one of its kinds in its approach. Honesty to tradition and sheer grandeur are its main strengths. 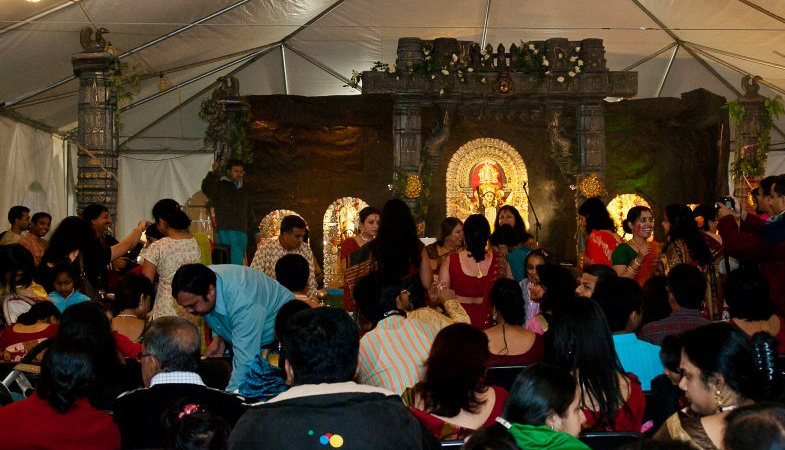 Usually spread over five consecutive days, the main attractions of the event are its colorful fair, diverse cultural programs,authentic and traditional Indian Puja - all organized within the same facility. 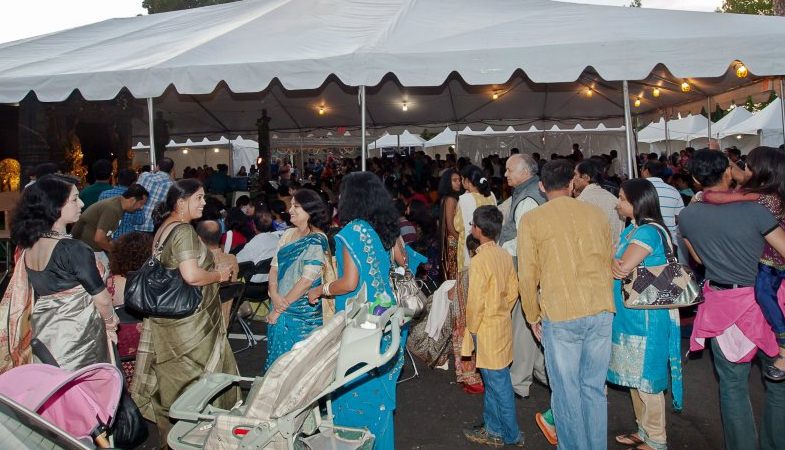 It is an eagerly awaited festival for all local Indians and amust see for all visitors who happen to be in the Bay Area during that period. Internationally acclaimed must see for all visitors who happen to be in the Bay Area during that period. Internationally acclaimed "artistes from India" regularly grace the cultural stage. Pashchimi tradition has been to promote local talent and give them an opportunity to perform alongside these famous performers. It has become an honor for the local talent to perform on the stage. The event has been covered by the TV and News media like India Post, Siliconeer, The Economic Times, TV Asia, etc. Pashchimi to succeed in its mission, it needs continuous financial support. Pashchimi has been fortunate to receive funding from recognized brands and local businesses that want to reach out to the Indian community and from generous donations from our well-wishers. Many of the corporate sponsors have been regular contributors to the Pashchimi cause.